When the Senior Director and co-founder of Indiegogo, the largest crowdfunding platform in the world, is a native of Minsk, it means that crowdfunding certainly has a future in Belarus, jokes Viktar Radzkou, a representative of Ulej. During the seminar "Easy Fundraising for NGOs" organized in Minsk by ODB Brussels within the framework of the Clearing House programme, he shared his insight on how this new service can be used for public campaigns, initiatives and projects in Belarus. Slava Rubin, co-founder and manager of Indiegogo, the largest crowdfunding platform in America, was indeed born in Minsk - his parents immigrated to the US when he was only six months old. Rubin organized the charity fundraising campaign for cancer research: he lost his father to the disease. Making funding more "democratic" was one of the goals of Indiegogo back in 2008, when the platform was created. The service paved the way for public funding to entrepreneurs, crowd investors, companies and social initiatives, with crowdfunding being firmly established in the American law when Obama signed the JOBS Act in April, 2012. 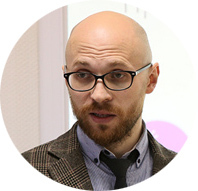 Belarusian CSOs are also taking to crowdfunding as a fundraising tool. 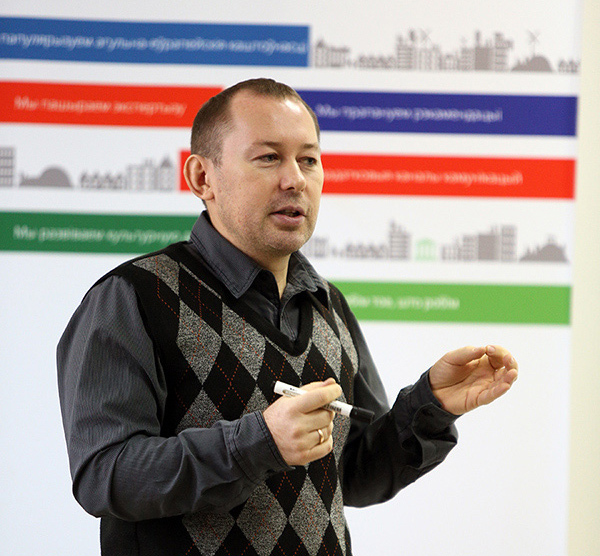 This financial tool, being relatively new for Belarus, requires a careful approach and planning, says Viktar Radzkou, Ulej PR Manager. The traditional "idea - costs - production - sales" economic model, he says, is no good in crowdfunding: the new web-based service allows you to first "test" the viability of a social project idea and only then set out to implement them. Crowdfunding platform Ulej was launched on April 22, 2015. In the first six months, more than 500 million Belarusian rubles have already been allocated through Ulej to successful projects. More than 40% of projects on the platform are considered to be "a success": these are the endeavours that have already received funding. About 20% are public initiatives and CSOs. "The majority of projects that have been successful with our platform are social projects. CSOs can use us to test the validity of their ideas and activities. If you already have a ready-made project and a team, you can raise funds with us," explains Viktar Radzkou, PR Manager of Ulej. 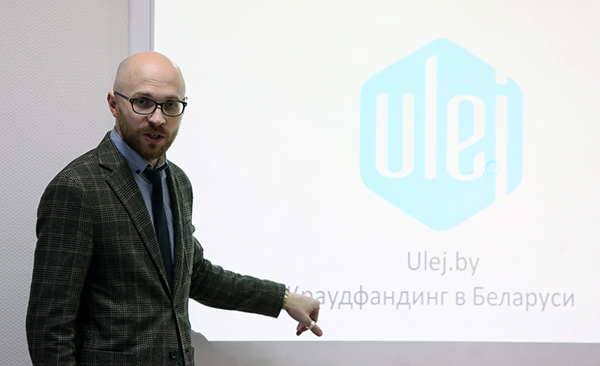 Belarusian Ulej project has been tailored after Kickstarter, an American platform where the project is funded only when the proposed idea raises 100% or more of the set amount. Similar platforms, such as Planeta.ru or Boomstarter.ru, operate in Russia. Here, diverse ideas are welcome: books, films, festivals, social campaigns, green initiatives, or even a creative project in someone's hometown, as happened when Mitya Pisliak, a graduate of Belarusian State Academy of Arts, who informed Ulej that he needed to paint a piece by the Belarusian artist Ivan Khrutsky on a residential building in the centre of the Belarusian capital. According to Viktar Radzkou, thanks to Ulej, this project received 50% of its intended funding from Priorbank, and the rest was raised by regular Internet users. Picture on the wall. from Mitya Pisliak on Vimeo. According to Ulej, NGOs can use the crowdfunding platforms efficiently if they devise a clear crowdfunding campaign strategy in advance. As he noted to the participants of the "Easy Fundraising for CSOs" seminar: "Only 10-15% of funds will come from people who you don't know, didn't target and who are just visiting the platform website, and it's quite a strong core. You have to understand that the money will come from people who go to your page when you ask them to." Natalya Khalanskaya, director of the Babruisk Anti-Cafe "13:87", talked to the participants of the "Easy Fundraising For NGOs" seminar about promoting charity projects on the Internet. Today, the 13:87 Time Cafe (numbers in the name signify the year Babruisk was first mentioned in a chronicle: in 1387 it was part of the Grand Duchy of Lithuania) is a space that strengthens the urban culture, says the social entrepreneur Natalya Khalanskaya. Her anti-cafe opened on October 19, 2014. Since then, its floor space was expanded three times: at the moment, it's being used both by NGOs and by the city residents for co-working, acoustic concerts, lectures or master classes. Using her anti-cafe as an example, Natalya Khalanskaya explained how social media sites Facebook, Instagram and Vkontakte can be used to promote an organization or an initiative. She noted that in September she decided to opt out of advertising in the city's printed media and on billboards. According to her, social networks can be used as a new marketing tool, including social marketing. Participants of the seminar discussed technical issues they might face when using social media websites for crowdfunding campaigns. At the same time, they were presented with traditional fundraising tools: individual donations, sponsor aid, mobilization of different resources. Maxim Padbiarozkin, Clearing House programme coordinator, discussed fundraising as a systematic activity and described its main components. Maxim, who was the first person to do fundraising in our country, adapted British, Russian and Italian expertise to the local context when he worked for the Belarusian Children's Hospice. Olga Smolyanko, Head of the Legal Transformation Center (Lawtrend), explained legal aspects of fundraising, such as the terms of obtaining sponsor support in Belarus. The organization currently provides legal assistance to CSOs, including by giving free consultations on legal registration of financial relations. "For the past two years the Legal Transformation Center in cooperation with the Assembly of Pro-democratic Nongovernmental Organizations have been implementing the Public Audit programme. The programme is implemented in cooperation with auditors, accountants and lawyers. 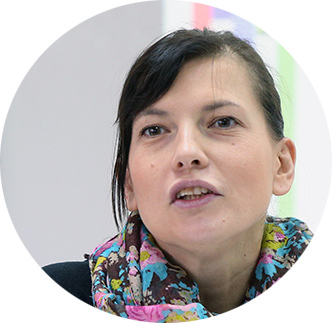 Interested Belarusian CSOs are comprehensively assessed to determine whether their activities satisfy legal requirements, in particular, tax and financial ones," - explained Olga Smolyanko. The lawyer noted that Belarus currently does not have enough professional auditors specialized in non-commercial and public organizations, who would be aware of the specific features of CSOs. Participants of the seminar discussed practical applications of fundraising tools in Belarus and cooperation with local businesses. An additional seminar "Easy Fundraising for NGO" was organized due to a large number of applications we received from representatives of Belarusian civil society organizations in September. We are currently planning to issue a publication on certain legal aspects of fundraising in the nearest future. Follow for updates on our website, our Facebook page and our Twitter feed. How Does Fundraising and Crowdfunding Work in Belarus?